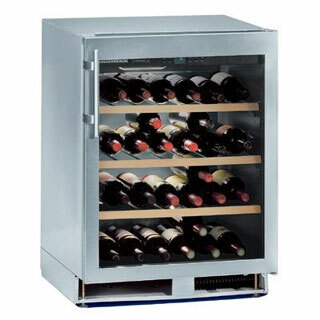 Single temperature wine cabinets have one constant temperature throughout the cabinet. Ideal for long term storage of wine. Perfect for busy restaurants looking to chill wine ready for serving. 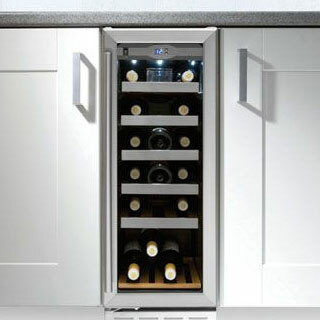 Single temperature wine cabinets are ideal for wine enthusiasts. The wine cabinet maintains one consistent temperature and this is suitable for long term storage of wine bottles. 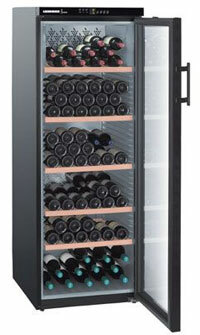 A single temperature wine cabinet is suitable for any home or restaurant/bar/hotel. Single temperature wine cabinets are available in a range of designs and sizes, for instance it can fit under your kitchen work top or can stand-alone in your dining room. Either way single temperature wine cabinets look magnificent. The bottle holding capacity varies with each model. 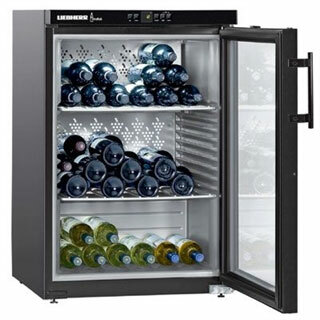 You can feel assured that your wine will benefit from being stored in a single temperature wine cabinet. 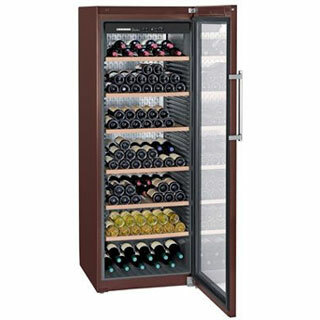 View our selection of Single Temperature Wine Cabinets! Humidity should always be above 50% as lower levels can cause corks to dry and thus shrink. This can allow air to damage the wine. All light should be avoided; wine is best stored in the dark. Vibrations can prematurely deteriorate wine by speeding up chemical reactions. Single temperature wine cabinets meet all of the five essentials of wine storage. There is a fantastic range of wine cabinets available designed for a range of purposes. It is therefore important to know the space where your wine cabinet will be situated and the capacity and type of bottles you want it to hold. Wine cabinets provide the correct conditions for long-term storage and aging of fine wine. However it is sometimes mistaken that wine coolers are the same. Wine coolers are designed to maintain wine at serving temperature but the temperature can often fluctuate. When purchasing your wine cabinet you should find out about the insulation. Wine cabinet designs differ from one another and some wine cabinets provide insufficient insulation for your wine. One and a half inch insulation is usually advisable. Find out the capacity the wine cabinet can hold. Remember noise is an important consideration if your wine cabinet is for the home. Ask about the cooling system in the wine cabinet. Measure the size accurately of where your wine cabinet will stand. Find out about the wine cabinet’s placement requirements. Some wine cabinet models can be placed against the wall whereas others require up to six/seven inches of clearance behind the cabinet. When buying your wine cabinet think to yourself: how big is your wine collection? Will this wine cabinet be able to hold more bottles if your collection grows? Wine cabinet shelving options are different with every model. Consider what types of shelves you require. Some wine cabinet models allow space to stack bottles on the same shelf whereas other wine cabinets allow you to store bottles upright. There are various options available so choose the wine cabinet which meets your requirements. Something else to consider is…will it fit into your house? Sometimes people receive a cabinet and are unable to get it through their front door! If you are still undecided about which wine cabinet is best for you, please refer to Wineware’s ‘Types of Wine Cabinets’.